I travel around the world enabling my clients achieve the kind of goals that the ordinary mind cannot even imagine. Mindfulness on its own won't get you there - you'll just end up being happy to go around and round in circles. Having grand goals, without mindfulness, is just wishful thinking. But put mindfulness and goals together and you have a seriously simple recipe for effortless success. I'm Willie Horton. 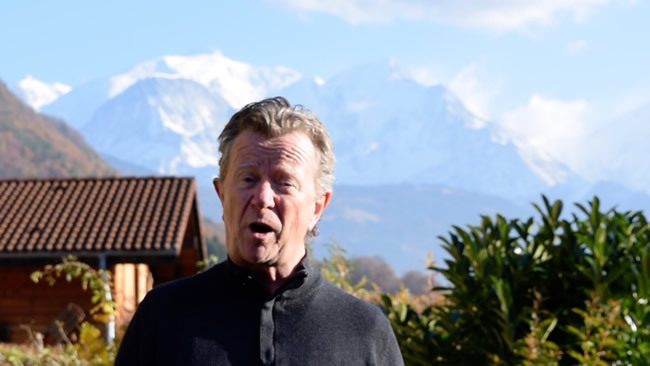 Originally from Ireland - I lived and worked there until 2002 - I live in the French Alps with my wife Lisa... experiencing a life in what athletes call "the zone" (what the University of Chicago calls "Flow"). I'm originally an accountant, tax consultant and banker but please don't hold any of these things against me!... they enabled me understand ordinary everyday business and life. And, that understanding - I practiced tax with KPMG and PwC and held senior leadership positions in insurance and banking - coupled with my understanding of modern psychology and neuroscience is what makes my work so appealling and practical to my many clients - in their business and, more importantly, in their life. I've been working for myself - as a consulting psychologist and coach - since 1996, helping business owners and leaders and their teams get their head around the practicalities of mindfulness - by marrying it with their goals. They develop what I call "Purposeful Focus" - the presence of mind to know what's going on and what's best to do, the presence that's the hallmark of great leaders - allied to a subconscious understanding of their goals to the extent that they simplly expect to achieve them. Their results? Effortless and extraordinary success.